5 Ways to Create a Christ-Centered Easter - So Festive! 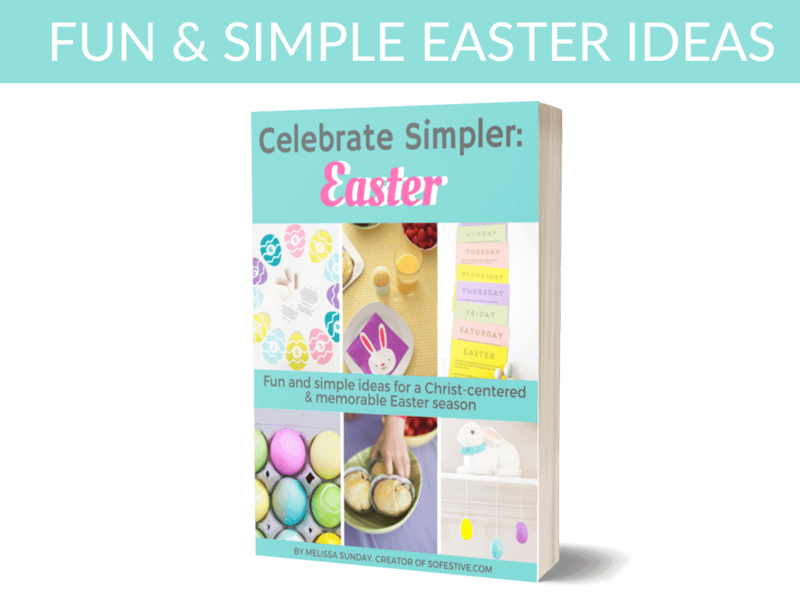 Want to create a Christ-Centered Easter? 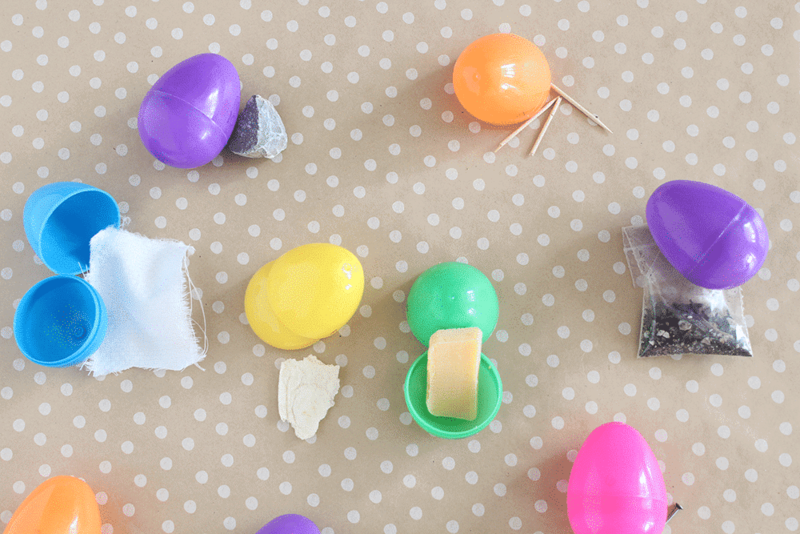 These 5 simple ideas will inspire you to have your best, most spiritual Easter yet. WANT TO CREATE A CHRIST-CENTERED EASTER? It’s easy to get caught up in all the Easter activities and forget what Easter is truly about. YES….there is room for Easter egg hunts, baskets, and coloring eggs. But a few years ago, I realized that our Easter was not as Christ-centered as I’d like it to be. So…we implemented a few changes and now our Easter is more spiritual and yours can be, too! 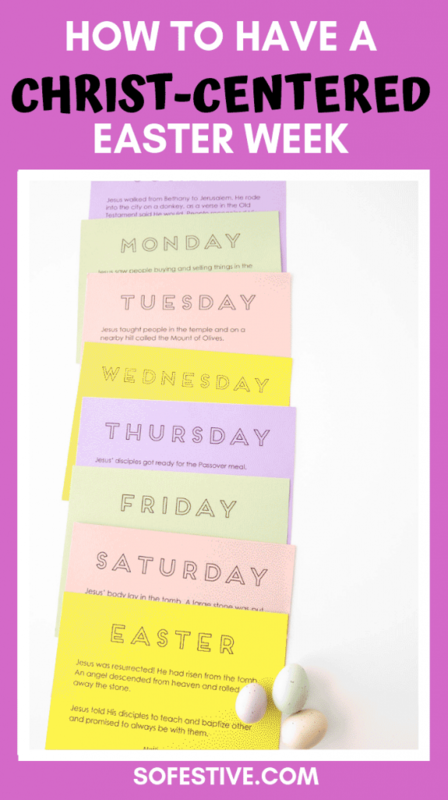 I hope these Easter ideas will be helpful for you as you to create your best Easter yet. And please know, that anything you do is better than nothing. We are not perfect, but we have felt a difference! As with anything in life, if something is really important, we have to put it first in our life. And it’s no different when it comes to Easter traditions. If you want a Christ-centered Easter, prioritize the activities and traditions that will make Him the focus. Simply get out a piece of paper or use our Easter planner to decided what spiritual Easter traditions you want to include in your Easter season. 12 Eggs of Easter– each egg contains a symbol of part of the Easter story. Hide them, find them, then learn about the first Easter! Once you’ve chosen what Christ-centered activities you want, you can add in all the other fun stuff. One way we’ve kept Christ as the focus is by celebrating Easter or Holy Week. When I was growing up, at least from what I remember, was that we didn’t talk much about Christ until Easter Sunday. That’s wonderful and all, but there’s a great opportunity to talk about Christ during the entire week leading up to Easter Sunday. For us, we spend a few minutes each day talking about what Christ did each day during His last week. It usually happens during breakfast. We pull out the daily sign with the event for the day and read the Bible verses that talk about the specific event. We have found it to be a great way to keep Christ in our thoughts all day long. Passover Thursday- Had a last supper, instituted the sacrament, suffered in Gethsemane and was arrested Family-Friendly Last Supper Meal on a blanket! Easter Sunday- He is Risen! 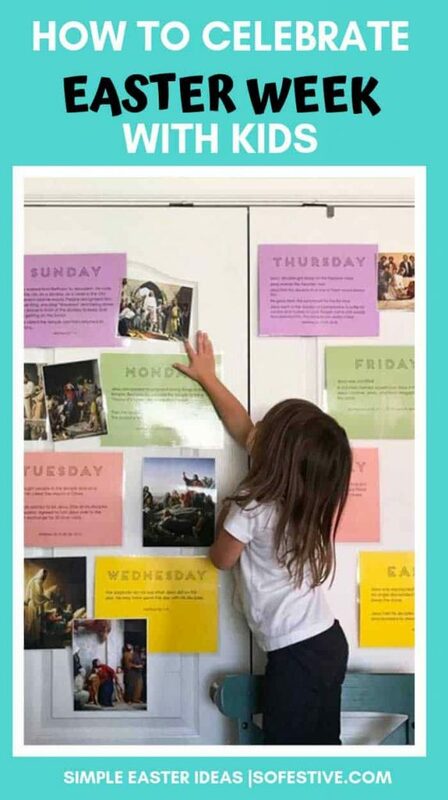 All of our Holy Week daily devotionals and daily activities, including the printable signs and photos can be found in 30-Page Easter Ebook here! Another thing that has made Easter more Christ-Centered is by having the Easter bunny visit on Saturday. I can take no credit for this awesome idea, but it has been such a wonderful change! Of course, every family is different, so do what is best for yours. But, I have loved that we can enjoy all the fun of Easter baskets and goodies on Saturday (when Christ was in heaven) and then keep Sunday focused on the Resurrection. While we are on the topic of Easter baskets, another way to reinforce Christ is by placing something Christ-centered in the baskets. You could do a small picture of Him, a book about the Resurrection, or anything else that remind children of Christ. Lastly, using Christ-centered decorations in your home can remind your family that Christ is the main reason for celebrating Easter. This can be done in a classy way. Do you have a felt letterboard? Or chalkboard? Write a quote on it to help you remember Christ. Display Celebrating A Christ-Centered Easter book and the accompanying Easter nativity in your home. Our 30-Page Easter Guide is full of Christ-Centered Easter traditions, family lessons, simple crafts and recipes, and even service ideas! The bright and happy original photos and fun ideas will become a resource you’ll want to pull out each year! Ebook available immediately after purchase- it will come straight to your inbox! You can access all the content on your device or print out the parts you want! Click here to have the Ebook delivered straight to your inbox! Or you can buy it from Etsy here.